Accessory: Women have jewelry, handbags and purses to enhance their outfits. What about men? It’s harder to uplift the outfit so the savior to this is a ‘watch’. A watch is a functional and a timeless accessory that defines a man’s personality. No matter what outfit you choose, make sure you get a HIT on your style. Function: A watch is a multi-functional piece that displays date and time according to the time zones. They can be digital, analog or both. Practically, when it comes to selecting a watch make sure you choose the one which does not give you any difficulty in seeing the time. Bold numeric numbers are a perfect pick. Profession: Whether your job requires a less formal wear, semi-casual wear or typically formal wear, you definitely need to get hold of the time. A watch is the best way to check the time rather than taking your phone out after every minute. Go for something classy watch. Personal Choice: Wearing a watch is a personal choice for many, though they are not into stalking time every minute but they love flaunting this accessory. If you are thinking to gift this, this is the best idea you can ever think about. You can also get the name of the person engraved at the back of the watch just to make them special. 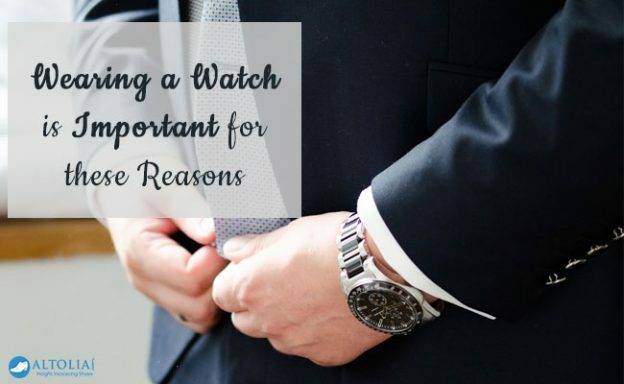 A Final Note : So, the reasons can be counted but the craziness of wearing a watch never ends. We hope you will find your favorite piece. The key feature of a watch is you need to wear them according to the occasion.